I first heard Revel’s Performa3 F208 and M106 speakers at the 2012 Consumer Electronics Show, in Las Vegas -- they were my favorite speakers at that show. 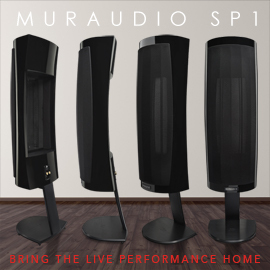 I guess good things come to those who wait -- I recently received for review a home-theater speaker system comprising the Performa3 F208 mains ($5000 USD per pair), C208 center ($2000), M106 bookshelf/surrounds ($2000/pair), and a B112 subwoofer ($3000), for a total system price of $12,000. Since I’d first heard the Performa3s, some truly world-class speakers for under $5000/pair have passed through my listening room. I wondered how the Revels, which sounded so promising a couple of years ago, might compare . . . The Performa3s look nothing like Revel’s earlier Performa models, whose rectilinear cabinets and natural wood accents were rather plain. The new Revels have curved enclosures with tasteful, matte-black top accents and deep finishes -- all four of these models are available in Piano Black or High Gloss Walnut. The Performa3s’ qualities of veneer and fit and finish are outstanding, and as good as anything I’ve seen in this price range. The F208 floorstander is the largest model in the Performa3 line, measuring 46.5”H x 11.8”W x 14.8”D and weighing 80 pounds. It has two 8” woofers and one 5.25” midrange driver, all with ribbed aluminum cones to reduce breakup; below the lower woofer is a flared, low-distortion port. All Performa3 models share the same 1” aluminum-dome tweeter with Acoustic Lens Waveguide, designed to provide smooth response even far off axis. 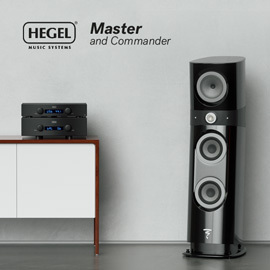 According to Kevin Voecks, manager of product development for the Luxury Audio Group of Harman International Industries, Revel’s parent company, the new tweeter is the best of any speaker that they know of in this price range, and as good as the tweeter in the previous generation of Revel’s far more expensive Ultima line. 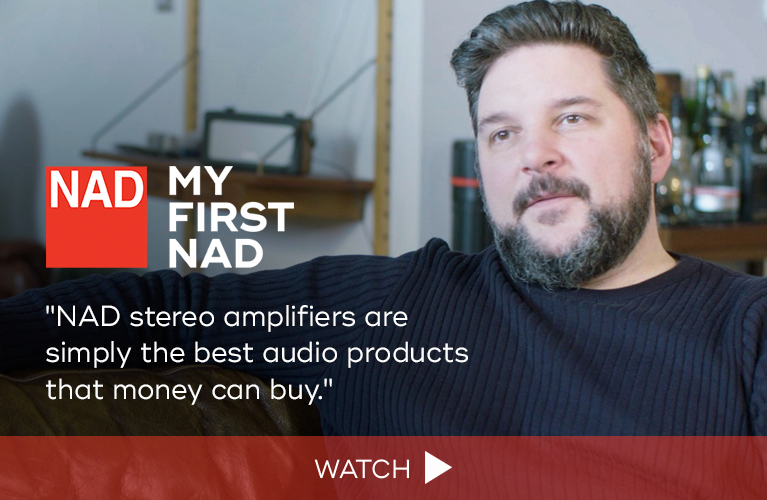 The new drivers were all designed from scratch for the Performa3 line, along with high-order, very high-quality crossovers that use polypropylene capacitors and air-core inductors. The F208 has two sets of gold-plated binding posts, and switches that aid in tailoring the speaker’s sound, depending on its placement and the listener’s taste. The Tweeter Level switch increases or decreases the tweeter’s output by +/-1dB in 0.5dB increments; the Low-Frequency Compensation knob can be used if the F208 is built into a cabinet or is placed very close to a wall. A foam port plug is provided to reduce the bass output. I did all of my listening with these switches respectively set to “0” and Normal, and with the ports open. I find that many center-channel speakers, even those designed for relatively high-end speaker systems, seem like afterthoughts, often having only simple, horizontal driver arrays of midrange-tweeter-midrange. Not so the Performa3 C208, which is a three-way design: two 8” woofers identical to those in the F208 flank a vertical array of that 1” tweeter and a 4” aluminum-cone midrange driver. The C208 is large for a center-channel speaker, its sealed enclosure measuring 28.9”W x 11.8”H x 13.8”D and weighing 52 pounds. It has two sets of binding posts, and the same controls for Low-Frequency Compensation and Tweeter Level. The Performa3 M106, provided for use as surrounds, is a high-quality bookshelf model with the same 1” tweeter as the other Performa3s, and a 6.5” aluminum-cone driver, in a relatively compact enclosure with port and plug. The M106 measures 15”H x 8.3”W x 11”D and weighs 19 pounds. I was surprised at the compactness and denseness of the B112 subwoofer: It measures only 17.8”H x 15.7”W x 16.5”D but weighs 70 pounds. Its 12” cone is also made of aluminum, with a thick, nitril-butylene surround that suggests it has a long excursion. The complex motor structure features a 50mm voice coil with many design features intended to increase output and lower distortion, and it’s powered by a 1000W amplifier. Revel offers their Low Frequency Optimization (LFO) software as a free download, but its proper use requires a calibrated microphone and measurement software, neither of which is included. Calibration with LFO is probably best left to your custom installer or the more technically inclined. 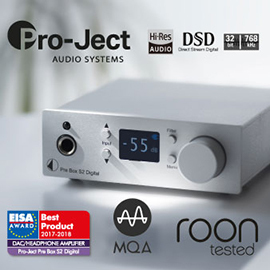 The B112 has a multitude of connection options, including stereo Input and High-Pass Out on both XLR and RCA jacks, and mono Subwoofer Out (XLR and RCA) to permit the daisy-chaining of multiple subwoofers. There are also a 12V DC trigger, USB input (for the LFO software), and Subwoofer Gain and Power Mode switches, the latter with positions for Auto, On, and Trigger. Surprisingly, there are no controls for polarity or crossover frequency, though these would presumably be controlled by the LFO software. Although I found the look of the Revel Performa3s a bit chunky, there was no denying the exceptionally high quality of the construction and the finishes. The latter, Revel claims, was designed and overseen by Italian makers of luxury cabinets. The grilles are attached with magnets, so no mounting hardware is visible to detract from the speakers’ appearance. But there’s much more to these speakers than solid, polished cabinets. At Harman’s Northridge, California-based acoustics research center, teams of engineers armed with vast R&D resources design products for not only Revel but Harman’s other brands: JBL, Mark Levinson, Infinity, Lexicon, AKG, and Harman/Kardon itself. Harman has four anechoic chambers, a Klippel distortion-analysis system, and a unique testing lab for double-blind comparisons of speakers. This lab has computer-automated “shufflers” that quickly move speakers into and out of position, and eliminate positional bias in comparisons of two- and multichannel systems. 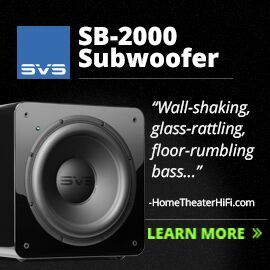 It’s not surprising that, with such resources, Harman has recently produced such products as the Revel Ultima2 Salon2 speaker, which fellow SoundStage! reviewer Uday Reddy owns and which Doug Schneider has long used as a reference. The JBL Synthesis Project Everest DD66000 (later replaced by the DD67000) is one of the finest speakers I have ever heard; and back in the mid-1990s, one of the first products from Infinity Systems, after its acquisition by Harman, was the Composition Prelude PF-R, which for many years was my reference loudspeaker. The Revel Peforma3 system took up residence in my reference home-theater system. The B112 was placed along the right side wall in the front half of the room, and I set the crossover on my Anthem Statement D2 surround processor to 80Hz for all channels for movies, and ran the F208s full range for music. The M106s were placed on 5’-high stands to the sides of the listeners. When I listened to two-channel recordings of music through only the Performa3 F208s, their sound was outstanding. There was an undeniable coherence to music from top to bottom, with a foundation of clean, solid bass, an exceedingly clean midrange, and refined highs. Listening to And I’ll Scratch Yours (16-bit/44.1kHz FLAC, Universal), a collection of Peter Gabriel songs covered by other musicians, Elbow’s vocals in “Mercy Street” were silky smooth, and the synth bass in David Byrne’s version of “I Don’t Remember” was deep yet punchy. Arcade Fire’s take on “Games Without Frontiers” is full of brooding, distorted guitar riffs, but the Revels unraveled with great dexterity the subdued complexities of the guitars, the slow cadence of the snare, and the wispy vocals. Switching to the more cleanly recorded Scratch My Back (24/48 FLAC, Real World/Society of Sound), Gabriel’s cover of Arcade Fire’s “My Body Is a Cage” had remarkably powerful string harmonics interspersed with Gabriel’s wistful singing and an equally desolate French horn. The F208 easily switched gears from the extreme, uncompressed dynamics of the massed strings to Gabriel’s raspy but warmly inviting voice. Many center-channel speakers, even some very good ones, can sound a little boxy and not match seamlessly with the mains. With multichannel music from DTS CDs, the Performa3 C208 reproduced voices better than any other center speaker I’ve had in my system -- the baritone in the center channel of “Yesterday,” from Boyz II Men’s II (DTS FLAC, Motown/DTS), was exceptionally clear. Through most systems, this singer’s voice is somewhat diffuse and difficult to differentiate from the tenors in the other channels. With the C208, there was an excellent balance of all voices. In fact, the transition between the center and main speakers was so seamless that it was difficult to tell the difference between tracks with a phantom center image, such as those on Diana Krall’s Love Scenes (DTS FLAC, GRP/DTS), and those with vocals mixed discretely for the center channel. The intelligibility of film dialog was first rate, and the massive C208 never showed any signs of distress, no matter how loud the action. Ron Howard’s Rush features exhilarating re-creations of vintage Formula 1 races of the 1970s. The sounds of the engines are a little rough and extremely loud -- exactly how I imagine F1 engines of that era might have sounded. The Performa3 system reproduced all of the sounds at the racetrack with extreme realism, but also reproduced Hans Zimmer’s well-recorded orchestral score like a high-end audio system. The sounds of crowd noise and PA systems timbrally matched across all five speakers, providing wonderfully enveloping effects as high-revving engines screamed around my room. No other system has performed as well with both music and movies in my system as did the Revel Performa3s. Even talkier sorts of film, such as Spike Jonze’s offbeat Her, benefited from the Revels’ exceptionally precise, neutral sound. The extremely quiet backgrounds and natural-sounding dialog, juxtaposed with delicate sound effects like the unmistakable whirring of a laser printer or the shuffling of papers, provided a very intimate portrayal of this film’s slightly surreal world of Her. Not only was dialog extremely intelligible, but Scarlett Johansson’s voice had the perfect mixture of sultriness and pertness to convey the irresistibility of her virtual character. When called on, the B112 subwoofer filled my room with low-frequency effects (LFE) from film soundtracks. As I watched Tron: Legacy, the deepest rumblings inside the computer-generated world of the Grid were cleanly reproduced, and the heavy bass foundation of Daft Punk’s excellent electronica score was effortless. The B112 blended well with the other speakers -- I was rarely aware that the sub was pumping out so much bass, even though it consistently added tons of information from the LFE channel. Although a single B112 couldn’t provide quite the same level of output as the two Paradigm Reference Servo-15 v.2 subs ($2500 each, discontinued) that I usually have in my system, it had a touch more definition with the lowest frequencies and was less noticeable. The Servo-15 v.2s can sometimes draw unwanted attention to themselves by producing some faint noise as they vibrate or by moving slightly when pushed very hard. The B112 was mechanically silent, even when outputting huge amounts of subsonic bass. When watching movies, I could find little if any fault with the Performa3s. The dynamics were astonishing, and with excellent fidelity from all. 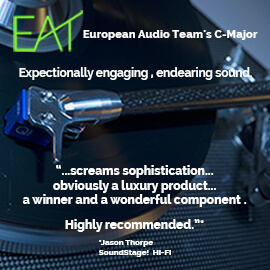 The C208 center was beyond reproach, and I never felt a lack of bass quantity or quality with the B112 sub. My usual front-speaker array of KEF R900 mains ($4999.98/pair) and R600C center ($1499.99) couldn’t quite match the Revels’ high output levels, but did a slightly better job of placing images more precisely in three-dimensional space to create larger, more holographic front images. Nor was there any denying the sound quality of the M106 surrounds, but they couldn’t match the output capability of my much larger, more expensive Definitive Technology BP-8080STs ($2998/pair), the bipolar floorstanders that I usually use as surrounds. But while certain aspects of my reference home-theater speakers may have been superior, the Revel Performa3s had a certain synergy with such well-recorded movies as Jack Ryan: Shadow Recruit: Gunshots and car crashes exploded with extreme force, but it was with the more gentle, enveloping sound of rain, or the ultrarealistic Foley effects buried deep in the mix, that the Revels provided an HT experience second to none. 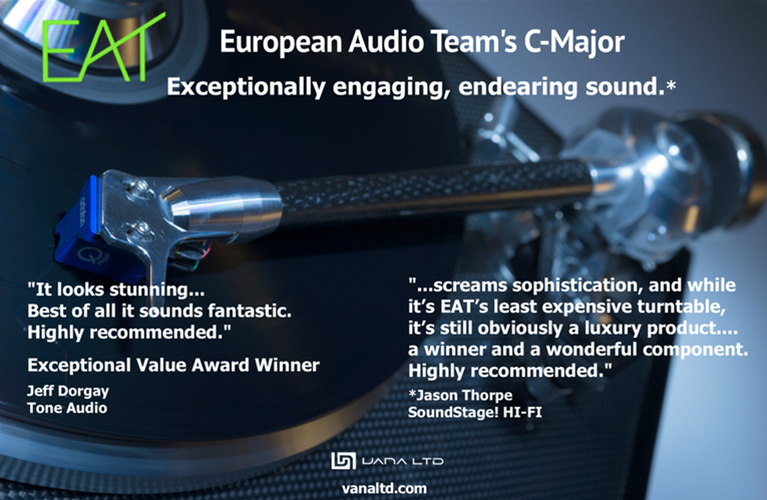 The F208 mains were as adept with two-channel music as with multichannel film soundtracks. 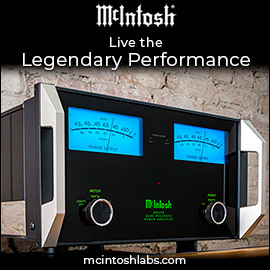 This speaker’s musicality rivaled that of my reference KEFs, nearly equaling the R900s’ fluid midrange and giving voices a spine-tingling palpability. Although the Revels had better bass than the KEFs, they needed a bit more power to demonstrate this. The 125Wpc Axiom ADA-1000 couldn’t quite drive the Revels with the authority I expected. But when I drove the Revels with the 500Wpc Bel Canto REF1000 monoblocks, the bass in “Royals,” from Lorde’s Pure Heroine (24/48 FLAC, Lava Music/Republic), was deep and taut, as I know it should be. With Daft Punk’s “Solar Sailer,” from the Tron: Legacy soundtrack (16/44.1 FLAC, Walt Disney), the KEFs were subjectively deeper but lacked the Revels’ incredibly fast attack and recovery. As for deep, fast bass, neither the KEFs nor the Revels could equal the Definitive Technology Mythos ST-Ls ($4999.90/pair) and their powered subwoofer sections, which have a stunning ability to cleanly reproduce the waves of subterranean bass in “Solar Sailer.” The KEFs and Revels still sounded excellent with this track, but the DefTechs provided the experience of high-quality, full-range bass extension. 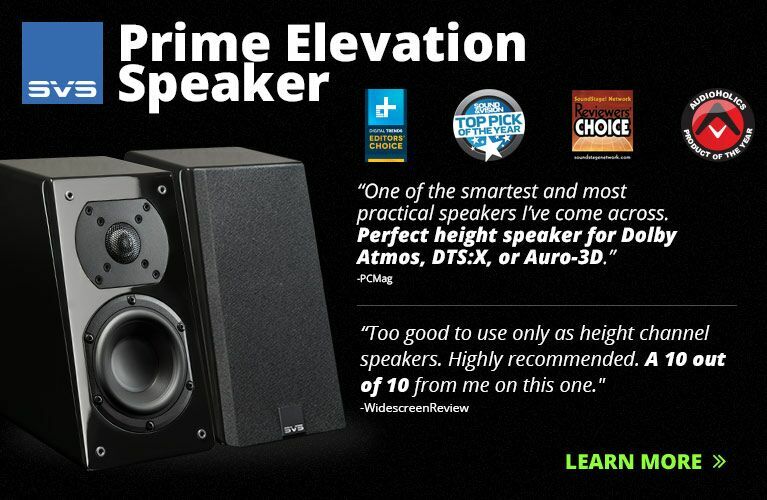 This Revel Performa3 home-theater speaker system is a topnotch performer. If you’re looking for a pair of speakers for about $5000, the Performa3 F208 is among the very best, and the other speakers in the Revel system are equally as capable, making this a truly outstanding system. This doesn’t surprise me, considering the track records of Revel and the Harman Luxury Group’s other brands. What did surprise me was the Performa3 system’s nearly flawless performance with music and movies. 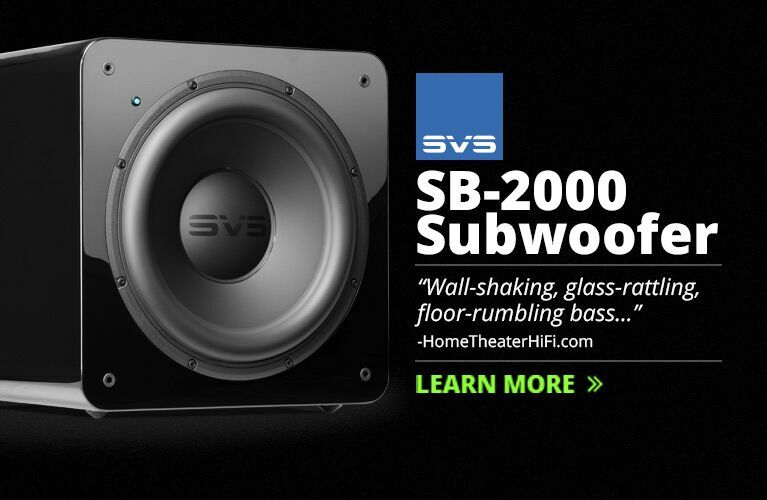 This makes it one of the best all-around speaker systems I’ve heard at any price. Total System Price: $12,000 USD.